Expertise: Mostly Interiors, but can do exteriors also. Software using: 3DsMax, V-Ray, Photoshop, After Effects (just for small adjusts). 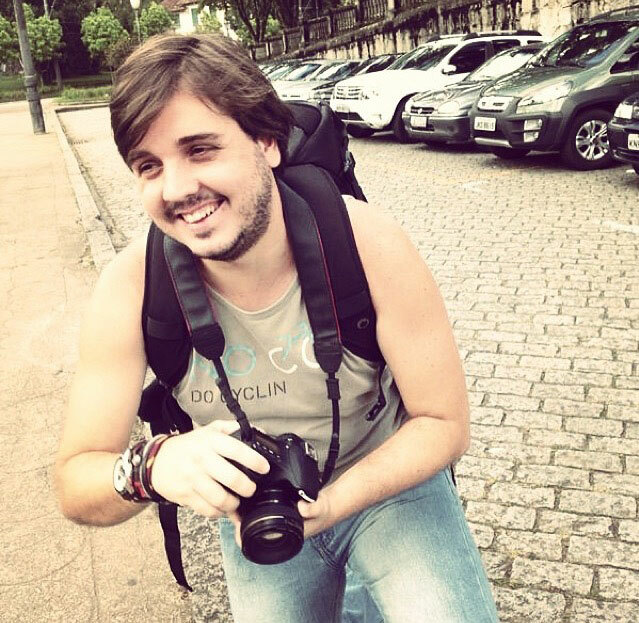 Gustavo Coutinho, as the owner of Brazilian CGI studio – Diffuse Virtual, most of his working time embodying the clients ideas into hyper realistic visualizations of interiors and product designs. He is absolutely passionate about architecture and 3D visualization, that’s why his studio won several award winning prizes in the field that they are very proud of. The first thing we do after starting a project is asking client for the floorplans, all kinds of dwg and lots of reference information. The second step is to try to understand what the client really wants. What is his personal view of the project and what message he is trying to pass. It is a very important part of the process to understand the client’s needs and vision. I think we always have some creative freedom, but respecting the client ideas and guidance. Sometimes the project comes with all information such as interior design project, furniture specs and everything else and we have a small room to work our own style. But we always try to give our personal touch in lighting, shaders, compositions and details. We are very specific about this. After receiving all the client’s information we start our research and study of references and materials. We separate the process in 4 steps: modeling, scene assets, lighting and compositing. Each of this steps are crucial to a fine image. We allow the client to make 3 small revisions such as different camera angles, color changes and some furniture revisions if needed. I have refused several projects due to client’s short time windows, small budgets and when we have lots of projects at the same time. We always strive for perfection and to deliver the best result possible. So we need time to make it right. I’ll never do business again with the client that does not fulfill their part of the contract. I calculate based on the US market and pricing. We know our quality and that make us understand more about what to charge for and how far we can go. Yes. For each still render. Not for days of work or hours spent. Yes. I went to architecture school and I think it helps you visualize and understand things much better. It’s not a MUST but in my opinion it’s a plus. My favorite sources of inspiration are photographs, movies and some great 3D artists. I am the second one. I always try to get the best of my render. I really don’t like to use massive post-work. All of my raw renders comes almost ready. I just need to give them a little more contrast, glows and some small stuff. I think Dbox and 747 Studios are amazing. There are so many of them, but one of my favorite 3D artists is Peter Guthrie. I think I would give me a 7 or 8. There is so much more to learn and to grow and there are so many great artists out there that it makes me understand that there is much more space to evolve. I would like to know more about compositing and colors. The one that I recommend is, in my opinion, the best of all. The process is called – “Trial and error”. It’s simple as that. Trainings and tutorials are a great way to develop new techniques, but you will stop at some point and understand that the best way to get better is to have references and try to achieve the same level of quality. It´s a process that lasts forever. But it’s worth it! I just did it once several years ago. Unfortunately I don’t have the time anymore. I visited some in the past. Now I am always looking for them and trying to stay connected with everything regarding the archviz industry. It´s very difficult to answer that one. I think the greates work is still to come. The most challenging one was an animation of a Mall with a very short deadline. We did on time! Here in Brazil we have some great artists and great studios, but the average work is pretty low quality. Brazilians are selling their work for a happy meal. I think 3D artists will always be needed. There will always be clients that will afford to pay for quality work. If you are very good in what you do, you will have your space at the spot light. I guarantee! I try to keep an open mind about what the future has to offer. I love what I do and for me it’s a blessing to be able to do it everyday. I just want to continue working and learning more.